ACCELERATOR held its second working group meeting on 22-23 June 2017 in Graz, Austria. The event was hosted by ERDF PP8 FH Joanneum GmbH in their premises. The first brochure of project has already reached for everyone. The communication tool includes project information with partners and objectives. The project partners held their 3rd Working Group meeting from 13th to 15th September, 2017 at Mór, Hungary. 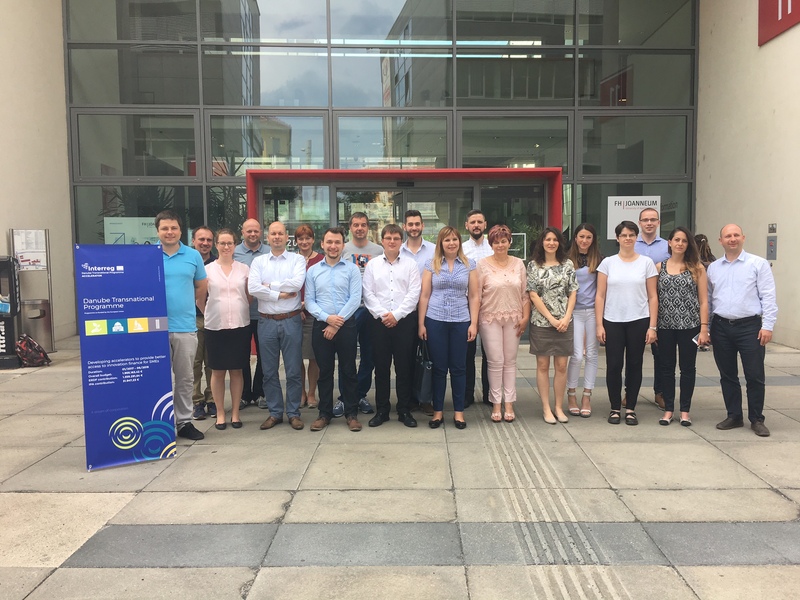 The partners continued to discuss the WP3 outputs and deliverables, from the previous meeting held in Graz, Austria (June, 2017). Capitalisation also played a crucial element of the workshop, as the partnership invited a representer of CROWDSTREAM project. After that, the partners presented their accelerator programme scheme drafts and issues related with starting the pilots (WP4). Each partner held a presentation about their thoughts, that was followed by joint discussion on each draft scheme. At the last day of the meeting the expert of the lead partner held a presentation about project management activities, financial management and reporting issues. WP2 leader -CTRIA- also held a presentation about the communication activities, as well as the videos which are under development and the brochures of the project. 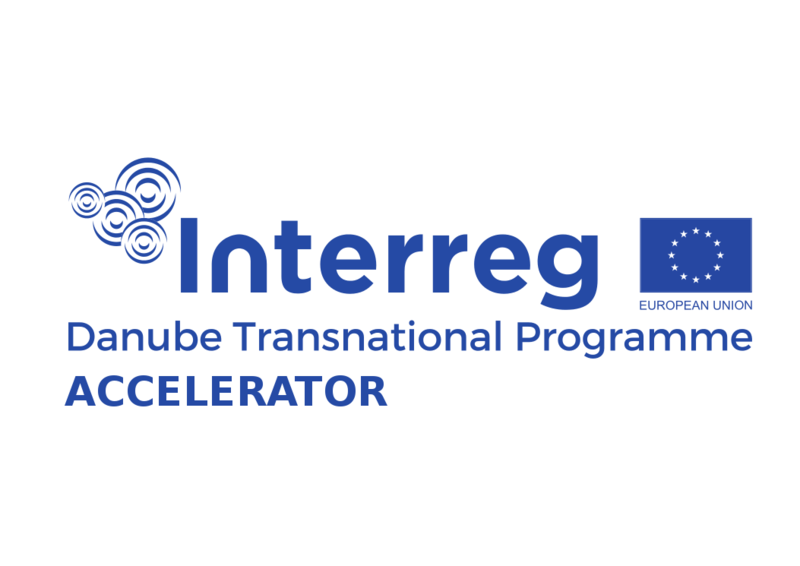 In the second period, the Accelerator project has elaborated three project outputs. The one of these is the policy framework summary report. The document is an overview and assessment of policy framework, across Danube regions by drawing main points and conclusions around specifics of policy framework, equity finance, opportunities and barriers for start-up companies across regions. The report contains six chapters; (1) Key facts about the region with general data, patterns of company creation, overall societal attitude and perception of entrepreneurial culture, opportunities and challenges in establishing a start-up company, (2) Key legal and tax legislation relevant for start-up framework, (3) Identification of barriers in access to equity; (4) Position and importance of acceleration programmes and equity financing environment; (5) Identification of ongoing and potential acceleration programmes in Danube area and (6)Identification of barriers for growth on cross boarder level. The main goal of the supply and demand analysis is to provide an insight to common challenges as well as specifics of all involved regions, provide an opportunity for knowledge transfer based on successful acceleration programs from experienced partners and contribute to scope of acceleration services which will be developed and test in the pilot phase of the ACCELERATOR project. The report contains six chapters: (1) Overview of access to equity finance by region to evaluate the current stage of development; (2) Stakeholders identification and typology of their offer, to get a better insight into main stakeholders and their offer related to start-up ecosystem by region (i.e. presence of accelerator programmes, investors participation and development of initiatives); (3) Analysis of supply with challenges from investors’ side; (4) Talent community and identification of frontrunners by region; (5) Analysis of service needs- evaluation of opportunities and challenges identified by SME entrepreneurs; (6) Conclusion with recommendation on joint acceleration model, with recommended programme or services regions would consider as most beneficial for a better investment attractiveness of innovation driven SMEs. This document is a practical guide for developing and running a new start-up accelerator program. Although, the report makes the following conclusions: “The most important message is that there are many different types of accelerators”, yet it is a useful tool that can serve as a real guide for any start-up supporter organization. The guide contains six chapters: (1) The strategic focus of a start-up accelerator; (2) Investment and other potential monetary and practical rewards; (3) Define the mentoring package; (4) Community, alumni services and train the trainer programme; (5) Attracting and selecting the right start-up; (6) Government-backed accelerators. Besides, the guide gives advices for the successful accelerator programs’ implementation and it defines the success factors of start-up accelerator. Full guide can be reached here. At 27-28th November 2017, the partnership held its 4th Working Group & Steering Committee meeting in Sofia, Bulgaria. The scheduling of the meeting was as follows: approval of Output 3.1 (Policy framework summary report), Output 3.2 (Demand and supply summary report) and Output 3.3 (Joint guide to develop acceleration programmes). For now, WP3 is considered to be closed (further improvements will be made to the guidelines after the piloting activities). At the second half of the day, the partnership started a joint discussion on planned pilots – each partner was obliged to present their accelerator programme scheme which is based on a template provided by the WP4 leader. During the coffee breaks, the partners had the opportunity to visit an incubator house. The partners continued to hold their presentations during the second day of the meeting. The expert of the lead partner also hold a presentation about project management activities, upcoming tasks, reporting activities and the financial part of the project. The representative of WP2 also hosted a presentation about communication activities.